William Clement Stone was a successful businessman, philanthropist and New Thought self-help book author. William was born and raised on the South Side of Chicago. In 1905, his father died and left the family in severe debt from his gambling losses. Three years later, at the age of 6, William began selling newspapers on the street to help support his family. Later on he would begin selling them in local restaurants. This was a very novel thing to do since at that time the normal practice was for young boys to hawk the newspapers solely on the street corners. The restaurant owners described him as polite, charming, and persistent. By the age of 13 he owned his own newstand. From an early age William Stone showed remarkable optimism, tenacity and entrepreneurship that would become hallmarks of his life. At age 19, W. Celement Stone started working with his mother selling casualty insurance policies in the offices of businesses in downtown Chicago. Filled with enormous energy and drive, Stone averaged selling 48 policies per day. He had no pre-arranged appointments and created his sales using a cold canvas system at an office building. When Stone's sales began increasing to an average of 72 policies per day, he began concentrating on building his own sales force. As the Great Depression hit the nation, he devoted more of his attention to creating a sales training program to improve the effectiveness of his sales team, including spending some initial time with new salespersons in the field. He also developed custom insurance policies that would be easy to sell and renew. Stone turned $100 into millions with a strong desire to succeed by putting into practice the principles set forth in the book Think and Grow Rich by Napoleon Hill. Stone life was a proverbial rags-to-riches story and would eventually become an inspiration to others, lifting some from the gutter, to incredible heights. One of Stone's great successes was Og Mandino, at alcoholic at the time whom Stone took under his wing. As a result Mandino transformed his life and went on to become the publisher of Success Magazine. Throughout these experiences, W. Clement Stone developed his lifelong philosophy of Positive Mental Attitude (PMA), which he viewed as the cornerstone of his success. Stone believed in the power of optimism and that even in adversity one could lay the seeds of success. Stone was once quoted as saying, "All I want to do is change the world"
In 1923, W. Clement Stone ended up marrying his high school sweetheart, Jessie Verna Tarson, with whom he had three children. Later in his life, Stone would begin publishing books which shared the methods and prinicples which brought him to his own success. He called his books “inspirational self-help action books” but it was the Bible, he said, that was “the world’s greatest self-help book.” The Stones were also lifelong, committed philanthopists who supported countless civic and community groups as well as political and humanitarian causes. During its early years, the Stone Foundation promoted PMA and distributed grantmaking in three areas: early childhood development, youth development and education (with an emphasis on teacher quality and principle leadership). Today, the Stone Foundation has an asset base of over $80 million and distributed almost $2 million in grants each year primarily in Chicago, Boston, New York and San Fransisco. Throughout his life, William Clement Stone gave an estimate of $275 million dollars to various charities, civic groups, mental health and Christian organizations. He is well remembered for his $2 million dollar contribution to President Richard Nixon's election campaigns in 1968 and 1972-- these donations were cited in Congressional debates after Watergate to institute campaign spending limits. W.C Stone was also a member of the John Evans Club and an Alumini Merit Award recipient. Among his philanthropic activites were his long-time support of the Boys and Girls Club of America, and the National Music Camp in Interlochen, Michigan. He also donated $1 million dollars to Rev. Dr. Robert H. Schuller to begin construction on the Crystal Cathedral (Renamed Christ Cathedral). Stone was a supporter of The Napoleon Hill Foundation, which he directed for forty years, and to which his estate contributes funding. W. Clement Stone, along with Napoleon Hill also founded a monthly digest magazine called Success Unlimited. Stone provided much of the initial funding for the self-help organization, GROW. He was also inducted into the Horatio Alger Association of Distinguished Americans, and was a 33rd degree Freemason. 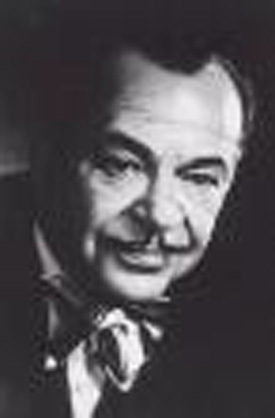 W. Clement stone died in 2002 at the age of 100, in his birthtown of Evanston, Illinois. Stone had celebrated his 100th birthday with a gift of $100,000 to the University of Illinois at Chicago. His son, Norman Stone, President of the Stone Foundation, along with several other family members continued to sustain the Stone's family tradition of philanthropy and their steadfast conviction that every individual can make a significant difference in improving the quality of life for others.